"The Charleston Eldercare Channel helped us find great local care for our parents!" These quotes are words often heard by the employees of the Hospice of Charleston. The words mean a great deal to the employees because they typically come from a Hospice patient or family member. The Hospice of Charleston has been serving Berkeley, Charleston, and Dorchester counties since 1981. The branch location in North Charleston serves home patients while the Hospice Center located in Mt. Pleasant is an inpatient unit serving hospice appropriate patients. Both the branch and the center provides comprehensive, compassionate care with the understanding that patients have different needs. That is why every patient has a specialized plan of care. This specialized plan of care is closely followed on a daily basis to insure that the patient receives the best care possible. Many have heard the term “hospice,” but are not fully aware of the meaning or services offered. The American Heritage Stedman’s Medical Dictionary defines hospice as “a program or facility that provides palliative care and attends to the emotional, spiritual, social, and financial needs of terminally ill patients at a facility or at a patient’s home.” Palliative care is care that provides comfort measures when a cure is not available for a person’s disease. Over the years in the United States hospice programs have grown from just one in 1974 to over 4,100 in 2005 (National Hospice and Palliative Care Organization Statistics). Over the next 10-15 years Hospice care is expected to grow exponentially due to the aging baby boomer generation. While a patient with any end-stage disease may be eligible for Hospice care, the most common diseases seen are cancer, end-stage heart disease, Alzheimer’s, dementia, lung diseases and end-stage kidney disease. The Hospice of Charleston also provides Hospice care in the nursing home and assisted living facilities. The location of the service is very important because providing care in the setting most familiar to the patient is usually best for the patient. A person is eligible for Hospice care when their life expectancy is six months or less, when they are no longer seeking aggressive treatment, and when their personal physician believes that Hospice is the appropriate type of care. The patient’s personal physician remains involved in the patient’s care as a key member of the interdisciplinary Hospice team or one of our extremely competent medical directors can assume care for the patient. It is important to remember that anyone can make a referral to the Hospice of Charleston. After the referral is received an RN will make a visit to the patient and family to assess the patient and to thoroughly explain the services that are available. Included in these services are regular visits by a nurse, a home health aid, and a social worker. Also available are a volunteer and a chaplain. In addition each family receives bereavement services. This valuable aspect of Hospice care provides bereavement support and education for the patient’s family and loved ones at least 13 months after the patient’s death. All of the interdisciplinary team members are vital because of the holistic approach practiced. In other words the care given meets physical, emotional, mental and spiritual needs. This approach is extremely important in end of life care. The Hospice of Charleston services are covered by Medicare (Part A) as well as most private insurances and most managed care plans. Military personnel and their dependents can receive Hospice care through TRICARE. 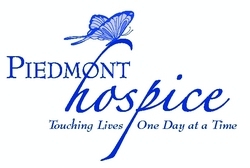 The Hospice Medicare Benefit covers the aforementioned team services, all home medical equipment and supplies related to the terminal illness, and all medications related to the terminal illness. For more information about The Hospice of Charleston please call 843.529.3100 or 1.800.617.6152. The Hospice of Charleston exists because we understand that every moment matters. It’s about how YOU live! A tradition of personal, clinical, and technological excellence. Exceeding expectations and fulfilling wishes one person at a time.